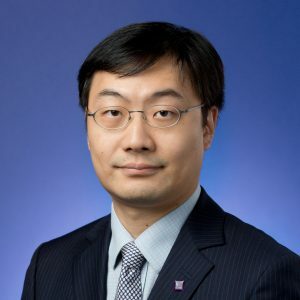 Prof. Taejin Kim is an Assistant Professor in Finance at The Chinese University of Hong Kong (CUHK) Business School. His research interests are financial intermediation, learning in financial markets, and theoretical corporate finance. Prof. Kim earned his PhD in Finance from Northwestern University, Kellogg School of Management. During his time in the PhD programme, Prof. Kim was awarded SAC Capital PhD Candidate Award for Outstanding Research. He also holds an MS in Statistics from University of Chicago, and an MBA and a BS in Physics from Seoul National University, Korea. Prior to his doctoral studies, Prof. Kim worked as an auditor for KPMG in Korea. Taejin Kim and Kun Ho Kim (2016), “Capital Asset Pricing Model: A Time-Varying Volatility Approach,” Journal of Empirical Finance, 37, 268-281. Taejin Kim and Jeffrey Russell (2010), “A New Model for Limit Order Book Dynamics.” In Volatility and Time Series Econometrics: Essays in Honor of Robert F. Engle, edited by Tim Bollerslev, Jeffrey Russell, and Mark Watson, Oxford University Press.